Hey, Yes we got a new website going. Simple, informative right? Got some news on the Fairdale Bikes Skaterack. It will be arriving sometime toward the end of May/ early June. Pretty stoked on the thing and its a really simple easy way to carry a skateboard around with you on your bike. 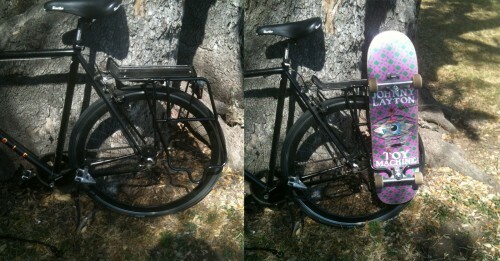 In simplest terms its a skaterack pannier and works just the same way a pannier bag might hook on to your bikes rack. 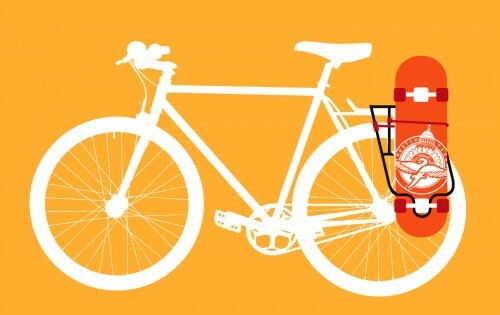 If you don’t have a rack on your bike you can find a cheap one for under $25 usually that will totally work fine. 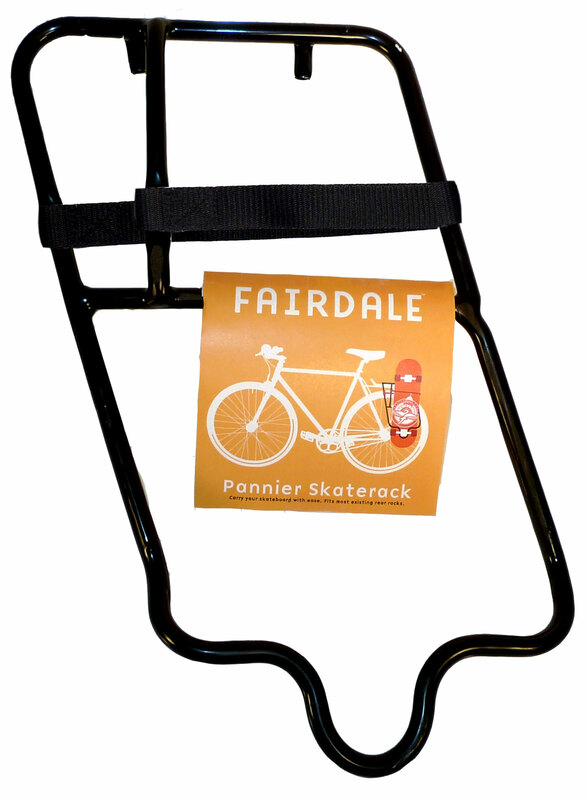 If you remember our original design for the skaterack it had a skaterack built into an ordinary rear rack but we found that would be very expensive to the customer and limits the use of your rack a bit (made it hard to put bags on the skaterack side). This new rack is so light and so simple and will be inexpensive as well. 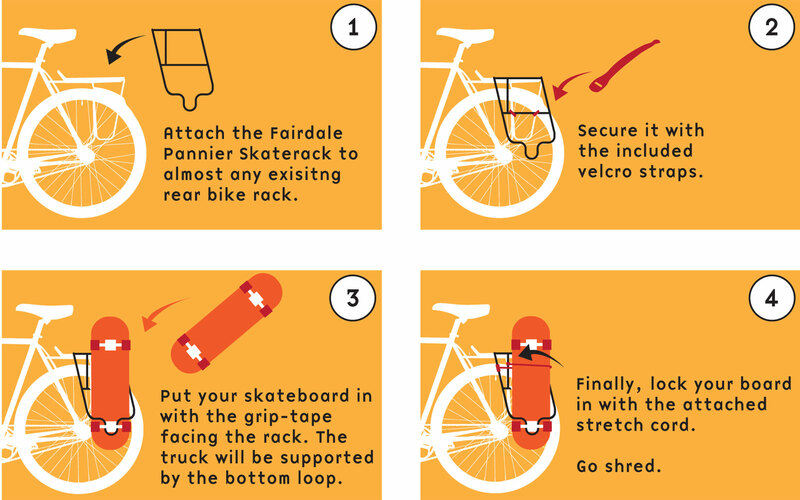 Clip it on, drop your board in and roll. Take it on and pop it on a different bike if you want as well. We’ll keep you updated as we know more about exactly when bike shops/ skate shops will have this rack for sale.